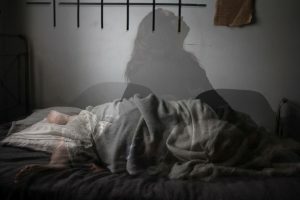 With ongoing research into how sleep affects one’s health, there is even more information being released that yet again reinforces how critical it is to get—at the very least—seven hours of sleep each night. The Journal of the American College of Cardiology recently published a study showing an association between sleeping less than six hours a night and developing atherosclerotic lesions in various blood vessels in the body. The study involved nearly 4,000 people being evaluated over a period of seven days, taking into account those who slept for short periods (six hours or less) as well as other factors such as how often the participants moved around and woke up in the middle of the night. Atherosclerotic lesions consist of gunk and cholesterol buildup in the blood vessel walls. These can continue to build, causing a narrowing of the vessels similar to the narrowing of arteries that may lead to heart disease. Should the vessels narrow enough, this may affect the brain, kidneys, and other parts of the body. Could your mattress be keeping you up? Start getting more hours of sleep by upgrading your mattress to names like Vispring and Hastens. These mattresses support the body and help you fall asleep faster with little to no tossing and turning. Visit Brickell Mattress to try one. To read more about the study, please visit https://www.forbes.com/sites/brucelee/2019/01/16/study-how-less-than-6-hours-of-sleep-may-hurt-your-blood-vessels/#38c4bad02189. This update is by Brickell Mattress. We sell luxury beds and the world’s top mattress brands:VISPRING mattresses, Hästens Since 1852 and CARPE DIEM BEDS OF SWEDEN. We offer a sterling selection of mattresses including organic & natural latex, as well as handcrafted beds and innerspring mattresses. We also have a broad selection of bedroom furniture and accessories. With more than eight years of working in the bedding industry, we pride ourselves on being your premium quality sleep center in Miami-Dade County. Visit us online at http://www.brickellmattress.com, at our store located at 1030 SW 8th Street in Miami or give us a call at 305-326-4000 for more information on Hastens mattresses or other brands.